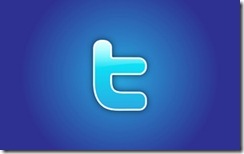 There are heaps of twitter applications around us right now, and they are growing day-by-day. Not all the applications you see are clean and legit. your twitter account, right! You can access those apps by navigating to connections page in settings. Many applications which promise of increasing followers & making but from your account, actually spam your account with links that are not posted by you. If you think you are linked with this type of app and want to get rid of it, you can block them from your twitter account.Below are the steps to follow. 1: Access your twitter account, head over to the settings page. 2: Now, click on the connection's link. 3: After accessing the connections page, click on " revoke access " to applications you don't want. Note: Don't forget to change the account password, after completing the above steps.